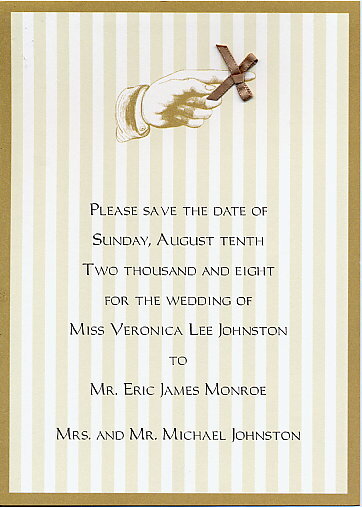 Perfect save-the-date announcement for a wedding, anniversary or other special occasion. Pre-tied taupe satin bow attaches after printing. 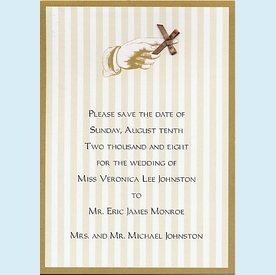 Cream heavy cardstock. CLOSEOUT! Save 1/3...only 1 set left.